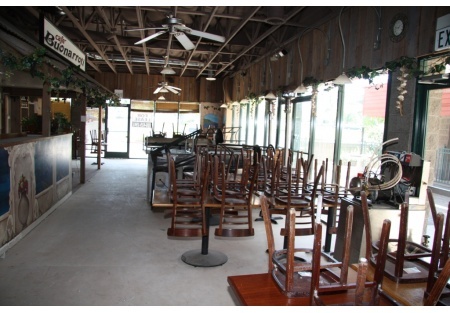 Selling Restaurants is proud to present another restaurant space that will cost little to get started. You pay nothing for the existing infrastructure and the landlord will provide some free rent to help you get started to boot! All you need to do is bring some equipment, hard work, plenty of working capital and a great restaurant concept to this area of Rocklin that despratately needs good restaurants. This area of Rocklin could use all sorts of GOOD restaurants from Italian to Mexican to Indian to Burgers. If you make great food at reasonable prices with top-notch service, this community will support you in a big way. Some of the locally owned restaurants the area have been known to do $1.5 million annually. In fact, I'm told by the landlord that the restaurant in this space use to do $700k+. So you can make money here. There are 1,603 Sq. Ft. available with a hood system in place. There is a large shaded outside patio to help expand your seating capacity where you'll get 8 months of acceptable weather a year in this area. The rent is $1.40 Sq. Ft. plus NNN of $0.50 Sq. Ft. for a total rent of $3,050 per month. All you need is good credit, a good personal financial statement and solid restaurant experience and of course great product, service and prices, and you're in business. To see photos of this space, just select the "See More Photos" button below. All Restaurant Infrstructure is in Place - Hood System, Plumbing, Sinks, Etc. Beautiful Shaded Outside Patio Area seats at least 40. Very Busy Area of Rocklin. Community Support is Here Just have great food with great service at a great price. .
Perhaps $30,000 of improvements and you're off and running with a new restaurant!